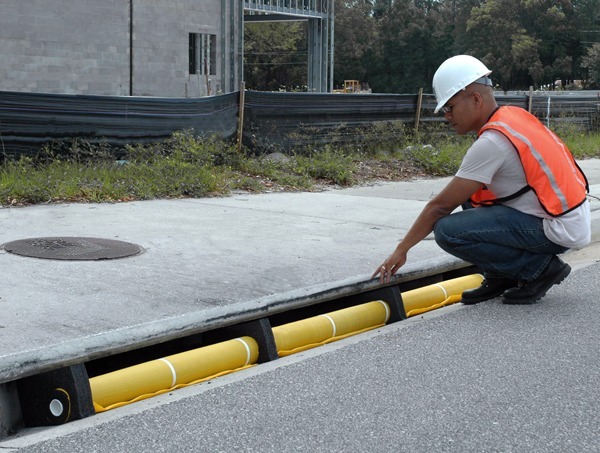 Ultra-Curb Guard Plus – Quick And Easy Installation. Modular Design-Build To any Length. 3′ Long Units Can Be Quickly And Easily Connected To Form Longer Lengths. WOVEN, Polypropylene Material Provides High Flow Rate-Will Not Cause Ponding Or Flooding. Dimensions: 4″ Diam. X 36″ L.